The most powerful solar radiation storm since 2005 was caused by a solar energetic particle event concurrent with an M8.7 class flare and a coronal mass ejection (CME) directed towards earth that occurred late January 22, 2012. With a rate of travel of 1,400 miles per second, the CME is expected to reach Earth’s magnetosphere sometime between 7 hours before and 7 hours after 9AM ET January 24. 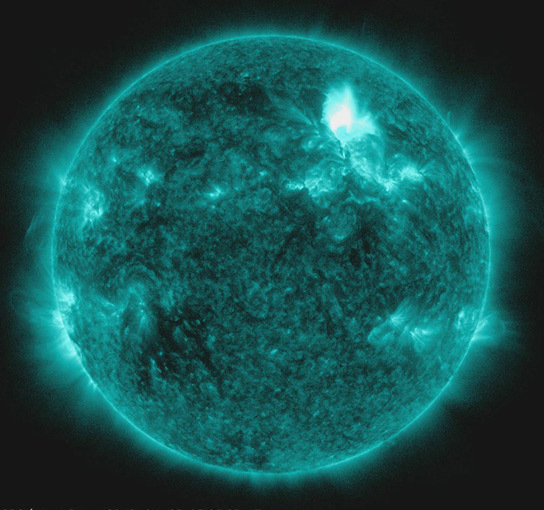 The sun erupted late on January 22, 2012 with an M8.7 class flare, an earth-directed coronal mass ejection (CME), and a burst of fast moving, highly energetic protons known as a “solar energetic particle” event. The latter has caused the strongest solar radiation storm since September 2005 according to NOAA’s Space Weather Prediction Center. 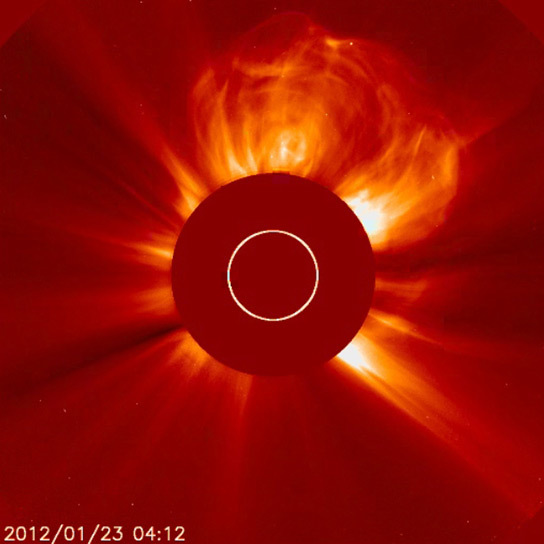 Be the first to comment on "Solar Flare Causes Powerful Solar Radiation Storm"